First of all – let’s make one thing clear, we are always on the lookout for talented golfers who can represent the County. 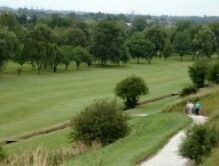 Some golfers feel that there is some kind of ‘closed shop’ arrangement stopping golfers from breaking into the county team. Other golfers have the impression that you have to play at a private club to get selected for the county and anyone who plays golf on the municipal courses won’t be considered. There are those golfers under the illusion that once a golfer achieves a particular level of handicap they would automatically be a good pick for the county. Let me assure you all of these assumptions are flawed. So, how do we make our selections for the County? 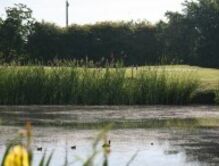 Firstly the golfer must be a member of a Cheshire Golf Club – this does not prevent people who play at municipal clubs being selected, but they must have joined the club section of that establishment. In the past, golf clubs would submit the names of golfers with category one handicaps to the county secretary at the beginning of the year and from those submissions we could see who had played well and should be considered for County selection. Now the Central Database of handicaps (CDH) allows us to do the same thing on line. As a rule of thumb, we would begin to take notice of someone with a handicap of scratch and below. However, the low handicap is not of itself a sole guide. Far more important than the actual handicap figure is evidence that the players golf ‘travels well’. By this I mean that we look for evidence that the player enters a number of events away from his home club. It would be fair to say that a player could have a plus handicap but with no evidence that he plays in external events he would not be considered for county selection. Conversely a player off a handicap of 1 or 2 who competes and finishes well in external events would certainly be considered. Having said that, to achieve success in external events, means that the golfer’s handicap would fall to around scratch. Any golfer playing in lots of these events and achieving a degree of success will attract the attention of the Cheshire selectors. What does playing for the county entail? Most of the County Team Golf is match play. – So if you don’t like match play, you may as well stop reading now! Our main fixtures are 5 Northern Group fixtures against the 5 other Northern Counties – Lancashire, Yorkshire, Durham, Northumberland and Cumbria. We play alternate year home and away against these counties. The format is a 12 man team with 6 morning foursomes and 12 afternoon singles. 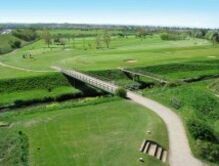 In addition there is the Northern Group Qualifier or ‘Big 6’ – for the National County Finals – this is a 6 man team stroke play event, 36 holes each player, all scores to count. Those of us on the County Executive are extremely privileged and proud to be responsible for promoting elite amateur golf on behalf of the golfers of Cheshire. We expect this pride to evident in anyone privileged enough to play for their county. We expect the highest standard of behaviour from our Cheshire players and make no apology for this. There is a Code of Conduct that was developed in conjunction with Cheshire players detailing the standards of behaviour we expect, and anyone selected will sign this document and adhere to the behaviour described in this document.